Most reviews start by telling you about specs. It’s more useful to understand personal behavior. When you’re lying in bed on your side, the weight of the iPad isn’t as big of an issue because most likely the edge is resting on the bed so you’re just keeping it from falling over. Like many people, I watch lots of videos—NBA highlights, game walkthroughs, movies, etc. I also have NBA League Pass so I watch full games on demand with scrubbing capability—it’s awesome. I found that the Full is too big for this position so I’m either extending my arms out uncomfortably or I’m in windowed mode. You do this because if you hold it too close, everything looks gigantic and your eyes get tired darting around the large field of view. With a Mini, I can go full screen and watch J-Lin slice through the lane at just the right distance. The Mini is a paperback and the Full is a hardcover. Honestly, I prefer reading on my iPhone 5S over the Full. I’m not sure if it’s the longer travel distance for my eyes from side to side or not being as easy to handle while shifting positions or just feeling self-conscious—people who read with a Full look silly, almost as silly as people who use iPads as video cameras. Whereas before I’d take one look at my Full and then turn on my phone to read, now I read a lot more and on the Mini. For reading, I would actually prefer something lighter and narrower (uh oh, starting to describe a Kindle) but it’s good enough. I take a lot of notes because my brain needs Evernote. I’ve been searching for a long time for a good way to get me past my laziness. I had a brick of a convertible Toshiba tablet with OneNote back in the day, I’ve used Penultimate with a Full plus stylus, I’ve even tried a real world Moleskin notebooks because they feel so good. In all these cases, I couldn’t reliably get typed text at the end of the day. Handwriting recognition is never perfect and transcribing real world notebooks is a pain in the arse. The Mini solves this problem. In meetings, bringing your laptop is bad for attention because you usually lose eye contact not to mention the disrespect. Thumbing away on your phone usually makes people think you’re playing Candy Crush. With the Mini, I feel like Data from TNG and all my ideas get recorded. I should have bought this last year even without the retina display. 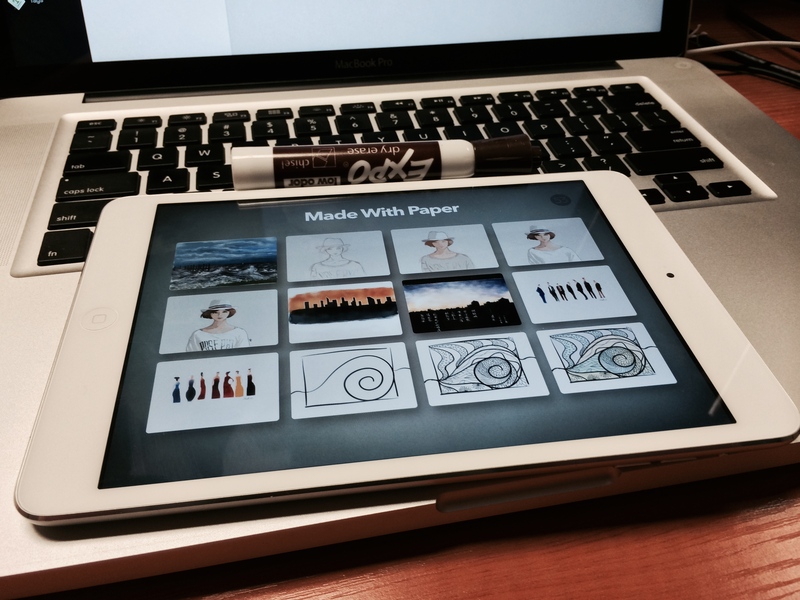 It feels better when watching, reading, taking notes, sketching—mostly because this is the right size for me. Think about how you would use it…and then go buy a Mini either way. I guarantee you’ll understand your personal behavior before those 30 days are up.